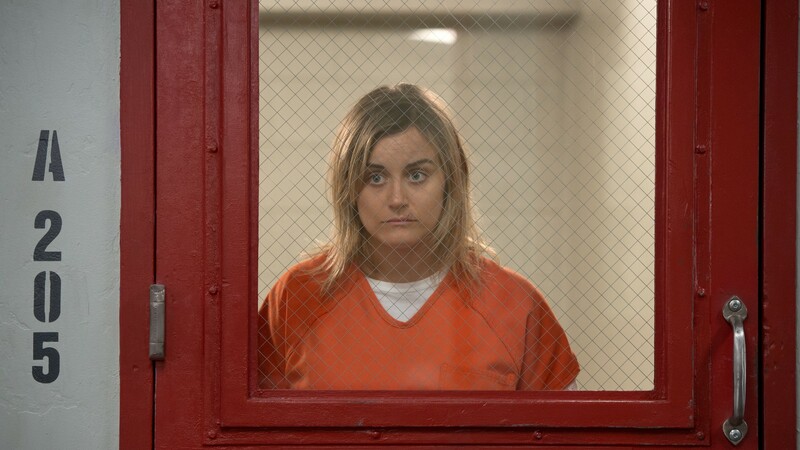 If you're worried about filling the void that Netflix's Orange Is the New Black will leave when the show wraps up with its seventh and final season in 2019, you're not alone. However, there's potentially good news for diehard fans: A spinoff of this smash hit series may be in the works, which would definitely stave off post-OITNB sadness. According to The Hollywood Reporter, Lionsgate TV Group chairman Kevin Beggs told reporters on Thursday that the studio is considering a possible OITNB sequel, which would likely follow current characters from the show. "We're really proud of the long run that Orange Is the New Black had," Beggs said, per THR. "It remains one of Netflix's most-watched shows. We're ending on a high note. Keep in mind we own that series and will be distributing it for years to come. We're already in discussions and, when the timing is right, we'll talk further with Jenji [Kohan, series creator] about a potential sequel." Sources close to Lionsgate told THR that a spinoff or sequel idea has been discussed for some time, though there are no immediate plans for anything concrete. Surprise, boo! “The Making of OITNB” begins tomorrow only on Facebook Watch. Link in bio. Meanwhile, OITNB executive producer Tara Herrmann told THR after the season six finale that the writing team had discussed spinoff ideas as well. She said they even floated the idea for a Broadway musical, which would certainly be a change from the often dark, gritty prison drama. However, Hermann also said she didn't want to expand on the world much before the show comes to its actual conclusion: "We want people to pay attention to the show we’re making, not a musical number with Piper and Alex. But that could happen in the future — who knows!" Given the continued popularity of Orange Is the New Black, it would make sense for Lionsgate to strike some kind of deal for a new series based in the same universe. As noted by THR, sequels are in high demand right now — which is why networks like HBO are developing multiple spinoffs from their most lucrative properties. We wouldn't say no to more time with the characters of OITNB, but we are curious about the shape that might take.